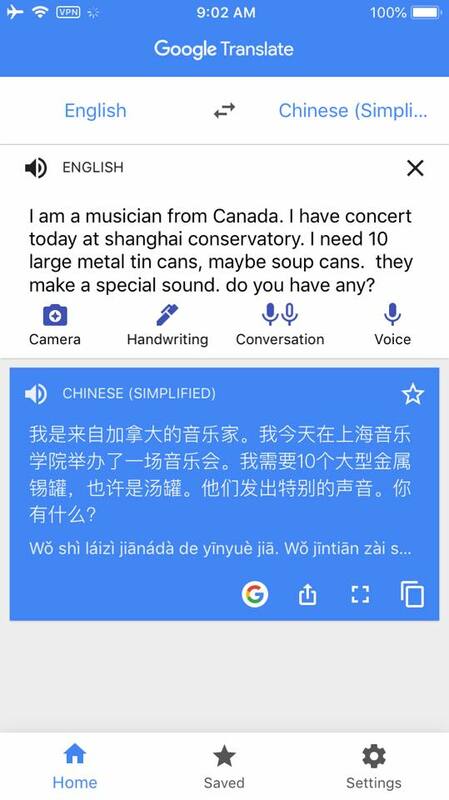 Percussionist Ryan Scott forgot to bring tin cans to Shanghai. 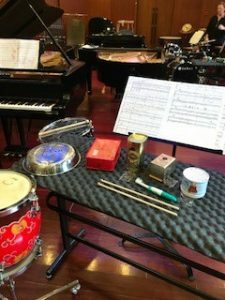 When leaving for Shanghai, Scott not only packed this own bag, he also brought a bag full of mallets, gongs and other percussion equipment the master percussionist didn’t think he could get on the other side of the world. The catch was, he only brought what he didn’t think he could find. True to the spirit of Cage’s work – Scott and the local stage manager set to work sourcing new instruments.